Chelsea return to Champions League action under Jose Mourhino when they play Basel on Wednesday. This week 45 years ago, the Blues were competing on the European stage against Morton. 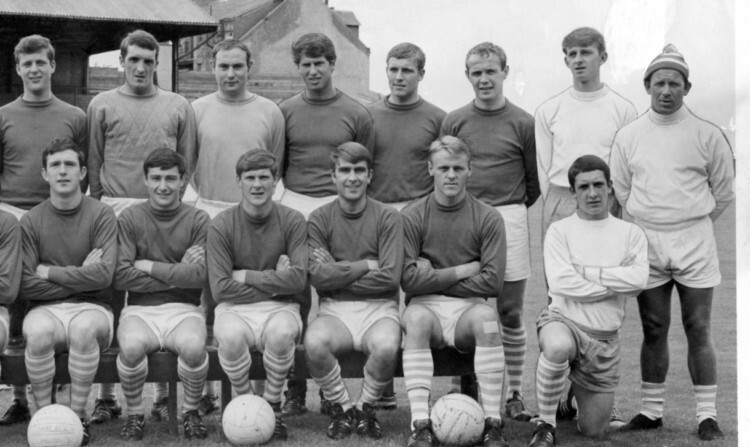 The Greenock club were taking part in their first, and to date only, foray into Europe after a sixth-placed finish in the First Division had won them a place in the Inter-Cities Fairs Cup. The draw for the competition took place in Copenhagen, so it was fitting that Morton’s first-ever goal in Europe was scored by a Dane. Borge Thorup didn’t hit the net until his side were six goals behind, but it sparked a comeback that caused a period of panic for the boys from the King’s Road. He recalls: “We started the first leg quite well at Stamford Bridge, but the tie was really lost when they scored two goals in two minutes before half-time. “They got another three goals in the second half to win 5-0. “Chelsea had some outstanding players like Charlie Cooke, Bobby Tambling and Peter Osgood. Morton manager Hal Stewart decided to change his plan of attack for the return leg at Cappielow. Although listed as No 2, Borge played at centre-forward. “In the home game, Chelsea went further ahead right at the start of the match. Then I headed an equaliser after five minutes before Joe Mason and Tony Taylor scored to put us 3-1 up on the night. Borge came to Scotland in 1966 from Danish side Bronshoj. He says: “I was fed up getting up at six in the morning to work, and having to train at night. Playing professional football full-time meant training in the morning and then playing golf in the afternoon. In 1969 Borge was sold to Crystal Palace, and his only first-team game in two seasons came against Chelsea. Borge returned for a second stint with Morton, a short spell with Clydebank and then three years back in Denmark. Now 69, he lives in Dunoon where for 26 years he worked on the Western Ferries.